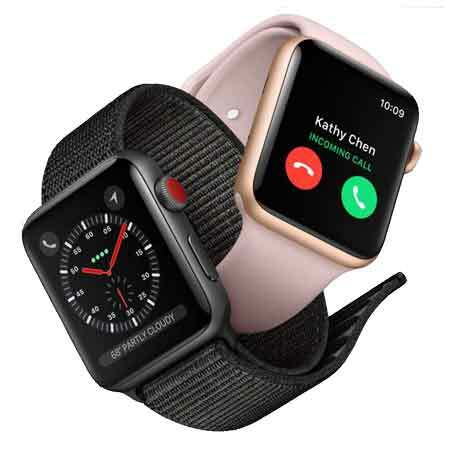 Serving customers of Apple devices since the year 2004, Apple Solutions is one of the best service centers for Apple devices in Mumbai with the experienced staff that is qualified engineers. Trusted by all our customers for the proficiency with which we do our work, you can be sure to get your Apple devices repaired and gleaming brand as new! Apple Solutions helps in repairing a number of Apple devices such as iPhone, iPad, MacBook, iMac, and iWatch. No matter what the issue with your devices, you can visit our nearest branch of apple service center in Mumbai to get every issue solved, from screen damage and parts replacement to hardware repair. How to Get your Device Repaired? Booking an appointment with us, or even getting your Apple product repaired from us is as easy as breathing. To save time, you can visit our Apple service center store nearest to you and show the gadget to the technicians present. We assure repairing your product within 30 mins, helping you save time. If you would rather book an appointment with us if you are unsure of where our store is, you can fill up the form on our website. Once you’ve filled it up, we make sure you receive a call from us within 15 minutes to arrange when you would like to schedule the appointment for. Once you’ve handed over the gadget to us, we ensure repairing it and returning it to you within 24 hours. Apple products are expensive and, therefore, precious to their owners. We understand the need to handle gadgets with precision and carefulness, no matter what the product. Our team of efficient technicians is our greatest asset, making us a trustworthy service to rely on. To further aid you, we offer a pick and drop service for your Apple device all over Thane, Mumbai, and Navi Mumbai. Along with a year-long warranty on the device and the parts and the labor we offer, your device also gets the benefit of a 2-year warranty on the device screen, giving you the assurance that you need in case the 1-year warranty period has passed before your device screen cracks. Further, we at Apple Solutions also offer our assistance in case the device does not function properly immediately after a repair. Another reason why we are the best apple service center in Thane for you is our policy of offering repair services at the most affordable cost, understanding how costly the purchase of the device has been for you. Further, we if there is no fix or solution found, we charge absolutely nothing. Along with the endless services we offer, the reviews our customers have left about us give you a glimpse of how ardent and dedicated we are to providing the high-quality of services to you. Visit our website to fill in your details or contact us directly to book an appointment for your device repairs. You can also visit any of our branches across Mumbai, Thane, and Navi Mumbai. Apple Solution provides a free or convenient onsite service for most of the Apple repairs. Quick iPhone repair, MacBook repair like screen assembly replacement, battery replacement can be done at your doorstep. We are operating 365 days including Sundays. The customer can book Onsite service, Schedule a free pickup & drop or directly visit to one of our 4 stores for 30 minutes express repair service. We repair almost all Apple devices within 24 hours. Problem: The screen has a crack on the side and the iMac needs to be formatted too.